When it comes to cold and flu season, beating day-to-day stress and keeping your house fresh, essential oils might just be your best friends. Essential oils are made by steam distilling or cold pressing large amounts of plant matter into their most concentrated essence. And these powerful plant extracts can kill germs, soothe skin ailments and are the most effective aromatherapy out there. Did you know that people have been using aromatherapy for thousands of years (1)? For a very long time doctors and healers have used scent to ease pain, nausea, muscle aches and even stress. It could also help to boost your immune system and kill germs. I know it sounds wild that an aroma could have therapeutic benefits. But there are a few ways this works. When you inhale something it travels directly to the lungs which can then circulate it through the whole system. This is how germs from a cough can find their way into your body even when you’ve been washing your hands diligently. Another way aromatherapy works is through the olfactory system, or sense of smell. This is one of the most powerful senses in the body and is directly linked to the brain. Scent enters the nose, moves up to the brain and impacts the limbic system, which is in charge of emotional responses and instincts. Just think about the way a newborn baby’s smell makes you want to take care of it and you’ll start to understand the limbic system. You may or may not be surprised, but science shows that women have a far sharper sense of smell than men do (2). This could be an ancient trait for sniffing out food or even choosing a mate. Pretty interesting huh? But I digress, let me pull this back to essential oils. One of the best ways to get the benefits of aromatherapy is with an essential oil diffuser. So today I’m going to break it all down for you with some information about how to choose the best diffuser for your home and family. Basically an essential oil diffuser breaks up the compounds of essential oils and disperses them more evenly through the air. This way you get a long-lasting aroma in your home as well as the health benefits of inhaling certain essential oils. You want to disinfect your home and get odors out of the air without harmful chemical sprays like lysol or febreeze. You need a humidifier and want to add moisture and aroma to the air at the same time. You want to try aromatherapy for stress relief, to ease headaches, nausea or boost immunity. But where should you put an essential oil diffuser in your home? That’s easy. Depending on the type you choose and the essential oils you’re using, you can literally put a diffuser anywhere in your home: in the bathroom, kitchen, living room and bedroom – I even have one in the office. The best essential oil diffuser for you will depend on your needs, so I’m going to talk about some of the most common ones you will find in order to help you decide. What Kind of Essential Oil Diffusers Are Out There? Diffusers come in all colors, shapes, sizes and styles. Here are some of the most common types and how these essential oil diffusers work (3). These diffusers use heat to break down essential oils and spread the aroma throughout the room. Heat works especially well for thicker more resinous essential oils like sandalwood and vetiver but could also damage some of the therapeutic properties of more delicate oils. There are two different kinds of heat diffusers. By far the simplest kind of diffuser, oil burners don’t need any electricity or batteries and some are so beautiful they resemble a piece of art. Oil burners are made out of ceramic, pottery, glass or even metal. This means whatever your taste or style, you can probably find an essential oil burner that’s right for you. Just apply a few drops of essential oils and water into the cup on top and fill the space in the bottom with a candle or tea light. The heat gradually rises up and warms the essential oil mixture, spreading the aroma all through your home. It also comes with the benefit of a candle, which looks great in a darkened room around bedtime. These could have a little cup like the oil burner, or a pad which is gently heated by electricity. Just apply some pure essential oils and turn it on. The heat helps exaggerate the smell and break down thicker oils. They are pretty easy to clean and work best to scent a larger space or maybe even the bathroom! While they definitely aren’t as attractive as an oil burner, they are a safer bet if you’re leaving the house and want to keep the fragrance going for when you get home. With these, simply put a few drops of essential oils on a cotton pad and place it inside the diffuser. A fan run by electricity blows over the pad and spreads the oils around the room. These are usually pretty quiet and the fan is definitely not strong enough to cool a room, but if you like a little bit of white noise while you sleep it might be nice to run one of these in your bedroom. This is probably the most common diffuser out there (and my favorite). Some even include nightlights or sound machines. Here’s how to use this essential oil diffuser: add water and a few drops of essential oils and it will use ultrasonic waves (a very fancy word for vibrations) to gently diffuse them through the room. They require batteries or run off of electricity and come with an added benefit of adding moisture to the air. This is especially good for anyone living in a dry climate as they double as both a humidifier and room freshener. This is a convenient diffuser because of its ease of use (simply add water and essential oil). I also like this one because when they’re compact enough they’re easy to travel with too. I’ve used diffusers many times to freshen up a hotel room or rental property. Another perk is that they are pretty easy to clean and you can just dump the water as you wish and disinfect it once a week or so. These are a little more high-tech than the ultrasonic diffusers as they literally break down the essential oils into very fine particles before distributing them into the air. These don’t require any water and instead come with a little pump and a glass piece to hold and distribute essential oils. The perks of this type of diffuser is that because it breaks down pure essential oils into tiny particles, these can be taken into the lungs more easily. This could mean more benefits for stress relief or cold and flus, since the lungs are able to absorb more of the oils. Now the not so nice part about a nebulizer is that if you’re using it for really thick oils like myrrh, vetiver, cedarwood or sandalwood, the resins could actually clog the nebulizer. I’ve also found that with nebulizing diffusers I end up using a lot more essential oil because it’s not diluted with water. So, you can end up running through premium oils like Frankincense much faster which isn’t so great for your wallet. They also aren’t as easy to clean as ultrasonic diffusers. A really sweet and inexpensive diffuser option, a terra cotta pendant is usually hung on a string. It can absorb about 5 drops of essential oils and then releases a delicate smell. Because the scent is so subtle, it’s great to hang in the window of a child’s room, where it will be exposed to the sun and release a little bit of the scent without being overpowering. You can also hang it on a lamp or on the oven door. This is the perfect diffuser if you want something to carry with you wherever you go. They most commonly come as a necklace but also in the form of a bracelet or ring. Hanging on the jewelry is either a lava stone, felt pad, or a bit of clay that will absorb essential oils and gently release them throughout the day. Some of the designs are so lovely, you might forget you’re wearing a diffuser… that is until you are stressing out in traffic and breathe in just enough lavender to calm you down. An absolute must for road trips (especially with rowdy children) the car diffuser is a great way to passively get the benefits of essential oils when you’re driving. Whether road rage has got you all “in your feelings” and you need to calm down or you need a bit of a pick me up, the car diffuser has got you covered. Most “smart cars” have USB plug-ins that you can use as a source of electricity. Even if you don’t have a USB plug-in for your car, an adapter like this one will do the trick. You can hook up your car diffuser and experience the benefits of essential oils in no time. How Do You Find the Best Essential Oil Diffuser? Start by determining what you want to the use this diffuser for. Do you want it for freshening up your home or for more therapeutic reasons? Do you want to use it as a humidifier as well? If you already live in a really humid place, you probably don’t want to add extra moisture to the air. In that case you might rule out the ultrasonic diffuser. If you want a stronger more long lasting scent, consider using heat, especially with thicker oils. Remember that a nebulizer doesn’t use water but simply breaks down the essential oil by itself, so it might have a stronger therapeutic effect. Once you’ve decided what you’re using it for, think about the convenience side of things. Are you looking for something really low maintenance that you can plug in, turn on and leave alone or do you mind keeping up with burning candles? You’ll know the best essential oil diffuser for you based on your own unique needs and lifestyle. Now where is the best place to buy an essential oil diffuser? Personally, I like to get mine from a reputable essential oil company. Companies that make high quality essential oils typically also make really high quality diffusers. Have you ever bought a diffuser where you turn it on and you can’t smell the essential oil – not unless you add copious amounts? That’s a sign of a junky diffuser. Not only is it ineffective from a therapeutic perspective, but you also end up wasting so much money because you have to use double or triple the amount of oil you use to get even a hint of the aroma. It’s great to shop online for diffusers, but don’t make the mistake of sacrificing quality for price. You’ll be unhappy with the results and you’ll end up spending more money in the long run when you have to use ridiculous amounts of essential oil to get an aroma or your diffuser breaks and you have to buy a new one. I personally have loved doTERRA’s Petal Diffuser and Lumo Diffuser. They are the best and they come with a manufacturer warranty of up to 1 year. So I know if anything goes wrong with them that the company will take care of it and I don’t have to worry about it. Most diffusers you find online do not have this guarantee. What Should You Look For In An Essential Oil Diffuser (4)? Cleans Easy. Find one that is fairly easy to clean as you might want to use it for different oils depending on your needs. You want a clean aroma each time (not one that’s contaminated with oil residue from what you previously diffused), so an easy to clean diffuser is a good idea. How to clean an essential oil diffuser will depend on what kind you have, but try to clean it about once a week according to the manufacturer’s instructions. Travels Easy. If you want to bring your diffuser on the road, definitely consider a car diffuser. Keep in mind, car diffusers only hold a small amount of oil and water, so they diffuse for short periods of time. Having a compact, full size diffuser that you can easily pack away in a suitcase or overnight bag allows you to bring your diffuser along and get the same essential oil benefits that you would when diffusing at home. It can also de-funk hotel rooms and rental properties (you never know how they will smell!). Ditch the plastic if using heat. If you’re using a heated diffuser make sure that it’s not plastic! More and more evidence is showing up on the endocrine disrupting chemicals in plastic. Heat breaks down plastic and can release toxins into the air as you’re diffusing your essential oils. You don’t want to cancel out all the good benefits of essential oils with toxic stuff. Consider the timing. The diffusers that I use automatically shut off after a certain period of time. Automatic shut off prevents the need to worry about turning the diffuser off so I really like that feature. If you want to diffuse oils overnight you’ll need one that goes at least 8 hours so that’s something to consider too. Consider aesthetics. If you don’t like the way an essential oil diffuser looks, chances are you’re not going to use it. So make sure you choose one that goes well in your home with the rest of your decor. Now that you’ve narrowed down what diffuser you want, you’ll need some essential oils to try with it. By far the most common essential oil for diffusers, lavender is gentle, safe and is one of the most delicate scents. It works especially well for stress relief and relaxation and is a great essential oil for the bedroom. If you struggle with insomnia, try running your diffuser with lavender before bed and see what happens! Another great stress relieving essential oil, bergamot has a bright citrusy scent that can both relax and uplift you at the same time. Try mixing it with lavender or rose to elevate your mood. Or add it to another citrus essential oil to freshen the air after cooking. Rich and floral, rose essential oil is great for emotional well being. It is known to help with depression and can even be used as an aphrodisiac. So drop a little in your bedroom diffuser to set the mood for relaxation… and other things. Orange or lemon are both great for kitchens and bathrooms. They are not only bright and uplifting but they are also antimicrobial (did I mention kitchens and bathrooms?) These oils also purify the air of pathogens and odors so kitchens and bathrooms are the perfect places to diffuse these oils. Frankincense is a powerful healing oil. It has a slightly sweet, earthy aroma and it blends really well with lavender to promote feelings of calm and relaxation. It’s also a potent immune booster, so diffusing during cold and flu season can keep your immune system functioning well. I love to inhale rosemary in the morning. Rosemary essential oil smells so fresh and it is known for improving mental clarity and boosting energy. Keep a little rosemary diffusing at your desk to keep you awake and on track throughout the day. For nausea or headaches, peppermint essential oil can’t be beat. This could be especially good for pregnancy, which may be a time when nausea and morning sickness feel constant but you don’t want to take over the counter medication. Inhaling a little peppermint essential oil is not only safe, it’s well studied as an effective nausea remedy. Peppermint is fine to use during pregnancy, but for breastfeeding moms it can dry up milk supply, so avoid altogether or only use tiny amounts (inhaled and not topical). 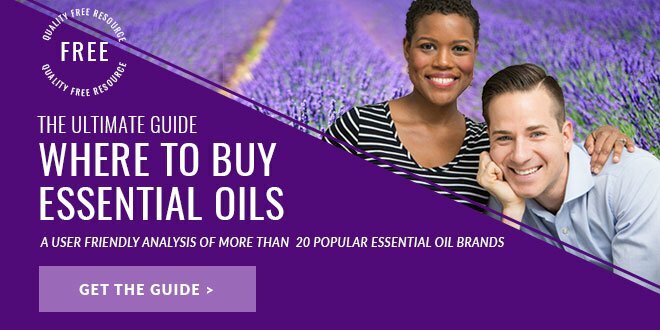 If you’re unsure of where to begin with all this, check out our essential oil starter kit. Not only does it come with a high quality diffuser but all the very best essential oils to have on hand. If you’re budget is a little smaller at the moment, we also have a mini sample pack. How About Some DIY Diffuser Recipes? For more essential oils for energy click here. 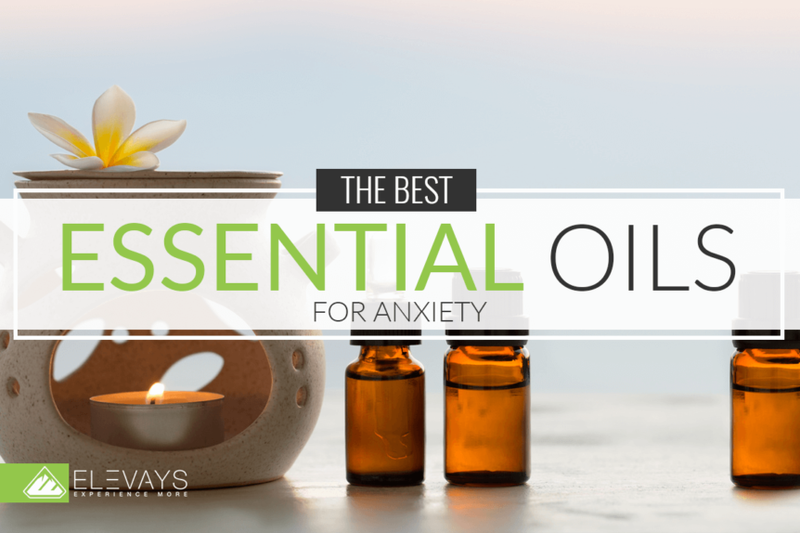 For more essential oils for relaxation and stress relief click here. For more essential oils for immune system support click here. For more essential oils for headaches and migraines, click here. As with anything, there could be some safety concerns when diffusing essential oils (5). Here are some the top things to consider. One reason why I use DoTerra is because their oils are the most tested and most trusted in the industry. They also come from high quality and organic sources. Think about it this way, if you’re diffusing cheap essential oil made from oranges sprayed with DDT, is that good for your lungs? Not so much. Whether you’re diffusing or applying oils topically, diluting is always a good idea. Depending on the size of the diffuser and the potency of the oils I typically use 6 to 10 drops of essential oil in the water (this is for ultrasonic diffusers). Remember that with essential oils a little goes a long way, so if you’re just getting started, start slow and then move forward from there. Generally, I don’t worry about the oils that I’m diffusing around my kids. The first reason is because I use oils from a source that I trust and know is 100% pure. The other reason is that when diluted properly in a diffuser I see little need to give it much thought. Granted, I’m not diffusing oils like Oregano or Winter Green which can be kind of “spicy” and irritating to mucous membranes. We also diffuse over larger spaces like the kitchen and family room so our children are not exposed to the aromas in concentrated amounts. If I’m diffusing oils in their rooms overnight I’ll stick with more kid-friendly ones like Lavender, Roman Chamomile, Frankincense, Marjoram or doTERRA’s Serenity. As with anything new around your home and family, use your intuition and do some research. For the most part essential oil diffusers are a really safe and easy way to work with essential oils, especially as a beginner. Diffusers are fun ways to bring essential oils into your home, so take some time to find the best one for you. I hope I’ve given you some food for thought when it comes to making an informed decision. Essential oils are some of my favorite things to talk about and I could go on and on. But how about you talk to me now? I’d love to hear your ideas, experiences and advice on essential oil diffusers. Leave me a comment below and tell me about it!